Very pleased to advise that Line Of Duty season 4 begins on ABC next month. This is a thrilling season (5 star review here). This aired on Pay TV in June 2017. Don’t miss it. yet, in the new season of Jed Mercurio’s critically-acclaimed police corruption drama. guilt lead the chief forensic investigator to AC-12. more complex, AC-12 themselves come under threat. 9.15pm Friday 5 October on ABC. Another scriptwriting masterclass from Jed Mercurio: it’s proper edge of your seat stuff. As they used to say in radio “This week’s number 1 with a bullet”. For those playing along at home – S5 is currently in production [I’ve lost track if it’s week 3 or 4 of principal photography] and is slated to air in the UK in mid-February [last I heard]. In the meantime, for those not partaking in the revisit, stablemate “Bodyguard” is well-worth the look too. 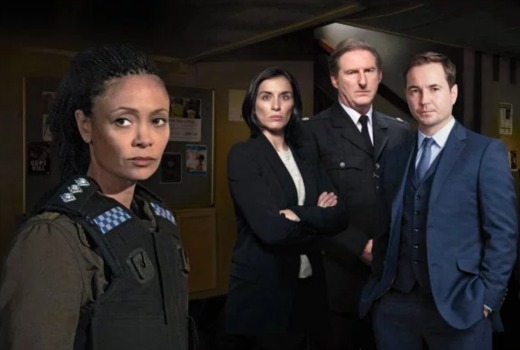 I just started another watch of line of duty from series 1 and should be done in time for a rewatch of the brilliant series 4, this is much watch tv!